Question: How do you assess the current level of economic relations between Saudi Arabia and Azerbaijan? What are the ways of even more improving those relations? Answer: The current level of economic relations is good but there are more opportunities to explore. The creation of the Saudi-Azerbaijani Joint Committee in 2001 helped in contributing to the bilateral relations. In 2018, the trade between Saudi Arabia and Azerbaijan was only $20,000,000. The vision of 2030 puts an emphasis in developing the areas that involve tourism, agriculture, food Security, health care, and sports. Earlier this month (March 2019) in Baku, Saudi Arabia and Azerbaijan signed a protocol on expanding the economic and trade investments between Saudi Arabian General Investment Authority (SAGIA) and Azerbaijani Minister of Finance. Signing this protocol will take Saudi-Azerbaijani relations to a higher level of cooperation. Q.: Azerbaijan and Saudi Arabia are both oil rich countries with great experience in this sphere. How could the two countries cooperate for the benefit of each other for even more boosting their oil and gas industry? How can the two countries benefit from each other in this sphere? A.: The vision of 2030 pays special attention to the energy sector. Both countries can benefit in the fields of refining; expanding petrochemical products for the world market; the expansion of relations between Saudi Aramco and SOCAR; renewable energy investments; research in energy efficiency. Q.: Both Saudi Arabia and Azerbaijan are participants of the OPEC+ deal to curb the oil output to maintain the oil market balance. How do you assess Azerbaijan's role in this agreement? 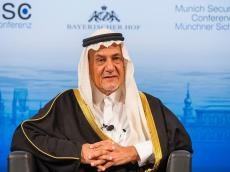 A.: Besides being a powerhouse in OPEC, Saudi Arabia always played a major role in stabilizing the oil market and accommodating the global demands of international consumers and protecting the interests of OPEC members. The Kingdom built a reputation for unmatched reliability in supplying crude oil to energy markets around the world. Like other non-OPEC oil producers countries, Azerbaijan's partnership with the OPEC members to end a three-year supply glut that has savaged crude prices and the global energy industry will be beneficial for all parties and this agreement will open new venues for collaboration. Q.: How do you in general assess the effectiveness of this deal in keeping the market balance? A.: Capitalizing on the size and quality of our reserves, our expertise in exploration and recovery, and our state-of-the-art, Saudi Arabia along with its OPEC+ counterparts will manage to balance the energy market effectively and efficiently. The deal is an extension of our previous commitment to maintain equilibrium in the market and providing an attractive and profitable price for the consumers.